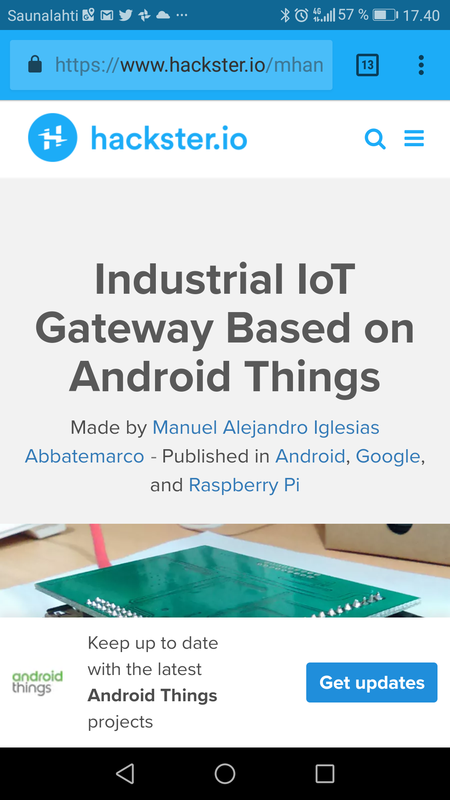 This project is a proof of concept of an Industrial Gateway based on Android Things. Android Things allow to cut development time of the gateway by facilitating the integration with required interfaces such as Ethernet, UART, SPI and I2C. Android Things can be used in common SBC such as Raspberry Pi to have a quick prototype but more embedded boards such as the iMX7.